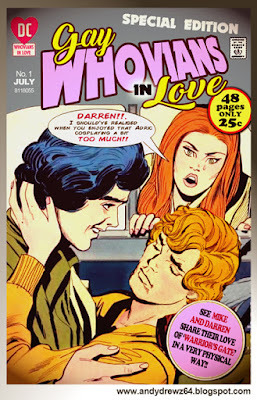 Andydrewz's Pages: Whovians in Love - volume one..
As is always the case with the best ideas, I'm indebted to someone else for giving me the original inspiration for one of my little efforts. In this case, it's @bohaynowell in the Twittersphere who posted the cover of an old DC romance comic entitled 'Heart Throbs'. 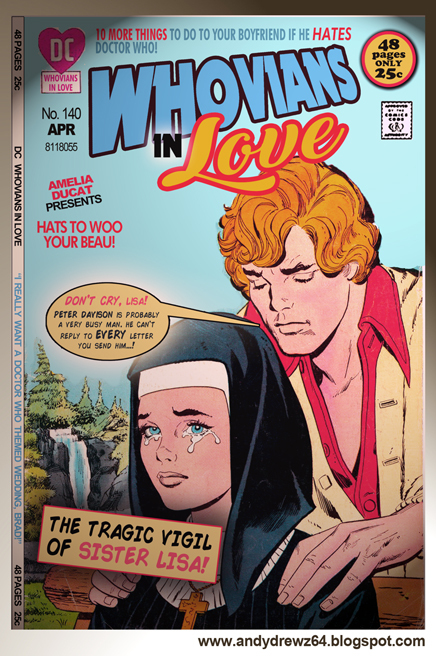 Needless to say, in my timeline the word 'Heart' was cut off so I saw the comic as simply 'Throbs' but that's beside the point. 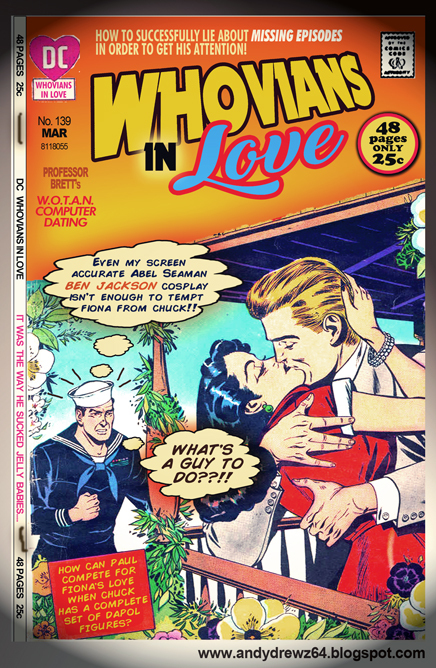 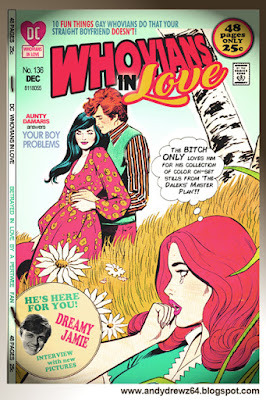 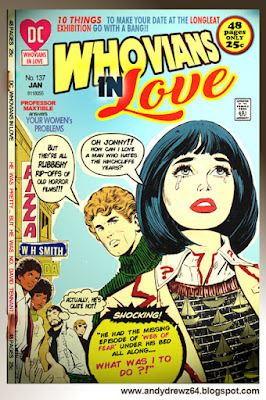 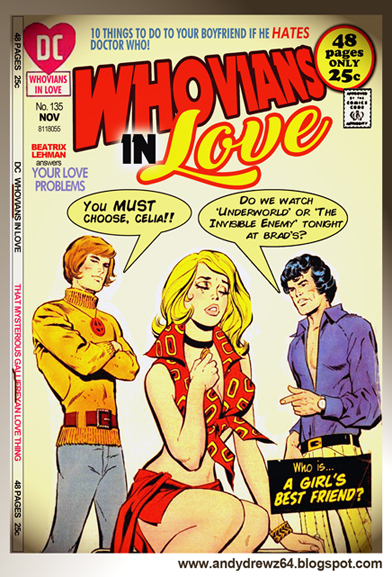 It got my juices flowing and I ended up producing covers for six issues of 'Whovians In Love' in which I bastardise several covers of similar US romance comics for the sake of an obscure cheap laugh.